^ 1.0 1.1 1.2 Schenkel, R. The electrical resistivity of 244Cm metal. Solid State Communications. 1977, 23 (6): 389. Bibcode:1977SSCom..23..389S. doi:10.1016/0038-1098(77)90239-3. ^ Hall, Nina. The New Chemistry: A Showcase for Modern Chemistry and Its Applications. Cambridge University Press. 2000: 8–9. ISBN 978-0-521-45224-3. ^ Seaborg, G. T.; James, R. A. and Ghiorso, A.: "The New Element Curium (Atomic Number 96)", NNES PPR (National Nuclear Energy Series, Plutonium Project Record), Vol. 14 B, The Transuranium Elements: Research Papers, Paper No. 22.2, McGraw-Hill Book Co., Inc., New York, 1949; Abstract; Full text (January 1948). ^ 4.0 4.1 4.2 4.3 4.4 Morss, L. R.; Edelstein, N. M. and Fugere, J. (eds): The Chemistry of the Actinide Elements and transactinides, volume 3, Springer-Verlag, Dordrecht 2006, ISBN 978-1-4020-3555-5. ^ 8.0 8.1 8.2 Audi, G. The N? evaluation of nuclear and decay properties (PDF). Nuclear Physics A. 1997, 624 (1): 1. Bibcode:1997NuPhA.624....1A. doi:10.1016/S0375-9474(97)00482-X. （原始内容 (PDF)存档于2008-09-23）. ^ L. B. Werner, I. Perlman: "Isolation of Curium", NNES PPR (National Nuclear Energy Series, Plutonium Project Record), Vol. 14 B, The Transuranium Elements: Research Papers, Paper No. 22.5, McGraw-Hill Book Co., Inc., New York, 1949. ^ National Academy of Sciences. Isadore Perlman 1915–1991. Nap.edu. [2011-03-25]. ^ Werner, L. B.; Perlman, I. First Isolation of Curium. Journal of the American Chemical Society. 1951, 73 (1): 5215–5217. doi:10.1021/ja01155a063. ^ 15.0 15.1 Milman, V. Crystal structures of curium compounds: an ab initio study. Journal of Nuclear Materials. 2003, 322 (2–3): 165. Bibcode:2003JNuM..322..165M. doi:10.1016/S0022-3115(03)00321-0. ^ Haire, R; Peterson, J; Benedict, U; Dufour, C; Itie, J. X-ray diffraction of curium-248 metal under pressures of up to 52 GPa. Journal of the Less Common Metals. 1985, 109 (1): 71. doi:10.1016/0022-5088(85)90108-0. ^ Kanellakopulos, B. The magnetic susceptibility of Americium and curium metal. Solid State Communications. 1975, 17 (6): 713. Bibcode:1975SSCom..17..713K. doi:10.1016/0038-1098(75)90392-0. ^ Fournier, J. Curium: A new magnetic element. Physica B+C. 1977, 86–88: 30. Bibcode:1977PhyBC..86...30F. doi:10.1016/0378-4363(77)90214-5. ^ Schenkel, R. The electrical resistivity of 244Cm metal. Solid State Communications. 1977, 23 (6): 389. Bibcode:1977SSCom..23..389S. doi:10.1016/0038-1098(77)90239-3. ^ 22.0 22.1 22.2 Denecke, Melissa A.; Rossberg, André; Panak, Petra J.; Weigl, Michael; Schimmelpfennig, Bernd; Geist, Andreas. Characterization and Comparison of Cm(III) and Eu(III) Complexed with 2,6-Di(5,6-dipropyl-1,2,4-triazin-3-yl)pyridine Using EXAFS, TRFLS, and Quantum-Chemical Methods. Inorganic Chemistry. 2005, 44 (23): 8418. PMID 16270980. doi:10.1021/ic0511726. ^ 24.0 24.1 24.2 24.3 Penneman, R. A.; Keenan, T. K. The radiochemistry of americium and curium. Los Alamos, California: Univsity of California. 1960. ^ 28.0 28.1 28.2 Holleman, Arnold F.; Wiberg, Nils. Textbook of Inorganic Chemistry. Berlin: 102 Edition, de Gruyter. 2007: 1956. ISBN 978-3-11-017770-1. ^ Jensen, Mark P.; Bond, Andrew H. Comparison of Covalency in the Complexes of Trivalent Actinide and Lanthanide Cations. Journal of the American Chemical Society. 2002, 124 (33): 9870. PMID 12175247. doi:10.1021/ja0178620. 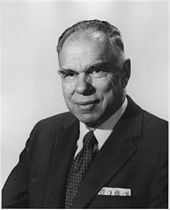 ^ Seaborg, G. T. Overview of the Actinide and Lanthanide (the f) Elements. Radiochimica Acta. 1993, 61: 115–122. ^ Kang, Jungmin; Von Hippel, Frank. Limited Proliferation-Resistance Benefits from Recycling Unseparated Transuranics and Lanthanides from Light-Water Reactor Spent Fuel (PDF). Science and Global Security. 2005, 13 (3): 169. doi:10.1080/08929880500357682. ^ Sasahara, Akihiro; Matsumura, Tetsuo; Nicolaou, Giorgos; Papaioannou, Dimitri. Neutron and Gamma Ray Source Evaluation of LWR High Burn-up UO2 and MOX Spent Fuels. Journal of Nuclear Science and Technology. 2004, 41 (4): 448–456. doi:10.3327/jnst.41.448. ^ National Research Council (U.S.). Committee on Separations Technology and Transmutation Systems. Nuclear wastes: technologies for separations and transmutation. National Academies Press. 1996: 231– [19 April 2011]. ISBN 978-0-309-05226-9. ^ Okundo, H. and Kawasaki, H. Critical and Subcritical Mass Calculations of Curium-243 to -247 Based on JENDL-3.2 for Revision of ANSI/ANS-8.15. Journal of Nuclear Science and Technology. 2002, 39 (10): 1072–1085. doi:10.3327/jnst.39.1072. ^ Jukka Lehto; Xiaolin Hou. 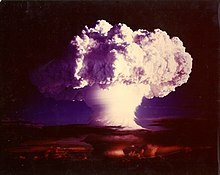 Chemistry and Analysis of Radionuclides: Laboratory Techniques and Methodology. Wiley-VCH. 2 February 2011: 303– [19 April 2011]. ISBN 978-3-527-32658-7. ^ 46.0 46.1 46.2 Haire, Richard G. Curium. (编) Morss; Edelstein, Norman M.; Fuger, Jean. The Chemistry of the Actinide and Transactinide Elements (PDF) 3rd. Dordrecht, The Netherlands: Springer Science+Business Media. 2006: 1401. ISBN 1-4020-3555-1. ^ Cunningham, B.B. ; Wallmann, J.C. Crystal structure and melting point of curium metal. Journal of Inorganic and Nuclear Chemistry. 1964, 26 (2): 271. doi:10.1016/0022-1902(64)80069-5. ^ Stevenson, J; Peterson, J. Preparation and structural studies of elemental curium-248 and the nitrides of curium-248 and berkelium-249. Journal of the Less Common Metals. 1979, 66 (2): 201. doi:10.1016/0022-5088(79)90229-7. ^ Gmelin Handbook of Inorganic Chemistry, System No. 71, Volume 7 a, transuranics, Part B 1, pp. 67–68. ^ Eubanks, I. Preparation of curium metal. Inorganic and Nuclear Chemistry Letters. 1969, 5 (3): 187. doi:10.1016/0020-1650(69)80221-7. ^ Noe, M. Self-radiation effects on the lattice parameter of 244CmO2. Inorganic and Nuclear Chemistry Letters. 1971, 7 (5): 421. doi:10.1016/0020-1650(71)80177-0. ^ Haug, H. Curium sesquioxide Cm2O3. Journal of Inorganic and Nuclear Chemistry. 1967, 29 (11): 2753. doi:10.1016/0022-1902(67)80014-9. ^ Fuger, J; Haire, R; Peterson, J. Molar enthalpies of formation of BaCmO3 and BaCfO3. Journal of Alloys and Compounds. 1993, 200 (1–2): 181. doi:10.1016/0925-8388(93)90491-5. 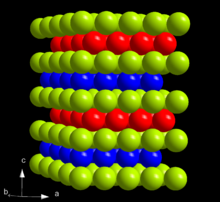 ^ Keenan, T. Lattice constants of K7Cm6F31 trends in the 1:1 and 7:6 alkali metal-actinide(IV) series. Inorganic and Nuclear Chemistry Letters. 1967, 3 (10): 391. doi:10.1016/0020-1650(67)80092-8. ^ Burns, J. Crystallographic studies of some transuranic trihalides: 239PuCl3, 244CmBr3, 249BkBr3 and 249CfBr3. Journal of Inorganic and Nuclear Chemistry. 1975, 37 (3): 743. doi:10.1016/0022-1902(75)80532-X. ^ Wallmann, J. Crystal structure and lattice parameters of curium trichloride. Journal of Inorganic and Nuclear Chemistry. 1967, 29 (11): 2745. doi:10.1016/0022-1902(67)80013-7. ^ Weigel, F; Wishnevsky, V; Hauske, H. The vapor phase hydrolysis of PuCl3 and CmCl3: heats of formation of PuOC1 and CmOCl. Journal of the Less Common Metals. 1977, 56 (1): 113. doi:10.1016/0022-5088(77)90224-7. ^ Damien, D. Preparation and lattice parameters of curium sulfides and selenides. Inorganic and Nuclear Chemistry Letters. 1975, 11 (7–8): 451. doi:10.1016/0020-1650(75)80017-1. ^ Kerridge, Andrew; Kaltsoyannis, Nikolas. Are the Ground States of the Later Actinocenes Multiconfigurational? All-Electron Spin−Orbit Coupled CASPT2 Calculations on An(η8-C8H8)2(An = Th, U, Pu, Cm). The Journal of Physical Chemistry A. 2009, 113 (30): 8737. PMID 19719318. doi:10.1021/jp903912q. ^ Girnt, Denise; Roesky, Peter W.; Geist, Andreas; Ruff, Christian M.; Panak, Petra J.; Denecke, Melissa A. 6-(3,5-Dimethyl-1H-pyrazol-1-yl)-2,2′-bipyridine as Ligand for Actinide(III)/Lanthanide(III) Separation. Inorganic Chemistry. 2010, 49 (20): 9627. PMID 20849125. doi:10.1021/ic101309j. ^ 66.0 66.1 Glorius, M.; Moll, H.; Bernhard, G. Complexation of curium(III) with hydroxamic acids investigated by time-resolved laser-induced fluorescence spectroscopy. Polyhedron. 2008, 27 (9–10): 2113. doi:10.1016/j.poly.2008.04.002. ^ 67.0 67.1 Heller, Anne; Barkleit, Astrid; Bernhard, Gert; Ackermann, Jörg-Uwe. Complexation study of europium(III) and curium(III) with urea in aqueous solution investigated by time-resolved laser-induced fluorescence spectroscopy. Inorganica Chimica Acta. 2009, 362 (4): 1215. doi:10.1016/j.ica.2008.06.016. ^ 68.0 68.1 Moll, Henry; Johnsson, Anna; Schäfer, Mathias; Pedersen, Karsten; Budzikiewicz, Herbert; Bernhard, Gert. Curium(III) complexation with pyoverdins secreted by a groundwater strain of Pseudomonas fluorescens. BioMetals. 2007, 21 (2): 219. PMID 17653625. doi:10.1007/s10534-007-9111-x. ^ 69.0 69.1 Moll, Henry; Geipel, Gerhard; Bernhard, Gert. Complexation of curium(III) by adenosine 5′-triphosphate (ATP): A time-resolved laser-induced fluorescence spectroscopy (TRLFS) study. Inorganica Chimica Acta. 2005, 358 (7): 2275. doi:10.1016/j.ica.2004.12.055. ^ Biochemical Periodic Table – Curium. Umbbd.msi.umn.edu. 2007-06-08 [2011-03-25]. （原始内容存档于2011-07-19）. 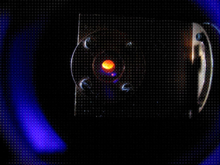 ^ Moll, H; Stumpf, T; Merroun, M; Rossberg, A; Selenska-Pobell, S; Bernhard, G. Time-resolved laser fluorescence spectroscopy study on the interaction of curium(III) with Desulfovibrio äspöensis DSM 10631T. Environmental Science & Technology. 2004, 38 (5): 1455–9. PMID 15046347. doi:10.1021/es0301166. ^ Binder, Harry H.: Lexikon der chemischen Elemente, S. Hirzel Verlag, Stuttgart 1999, ISBN 978-3-7776-0736-8, pp. 174–178. ^ Nicks, Oran. Ch. 9. Essentials for Surveyor. SP-480 Far Travelers: The Exploring Machines. NASA. 1985. ^ Der Rosetta Lander Philae. Bernd-leitenberger.de. 2003-07-01 [2011-03-25]. ^ Baetslé, L. H. Application of Partitioning/Transmutation of Radioactive Materials in Radioactive Waste Management 互联网档案馆的存檔，存档日期2005-04-26., Nuclear Research Centre of Belgium Sck/Cen, Mol, Belgium, September 2001. Holleman, Arnold F.; Wiberg, Nils. Textbook of Inorganic Chemistry. Berlin: 102 Edition, de Gruyter. 2007. ISBN 978-3-11-017770-1. Penneman, R. A.; Keenan, T. K. The radiochemistry of americium and curium. Los Alamos, California: Univsity of California. 1960.